A recent study by Andrea Cavalieri with the University of Manitoba found that pod shatter is primarily impacted by genotype, while environment is the dominant driver for pod drop. Key practice: Canola varieties with pod shatter tolerance have arrived. Pod shatter tolerance adds more flexibility for harvest timing, allowing crops to stand longer with fewer losses. Key research: Cavalieri, A., University of Manitoba, et al. “Pod Drop and Pod Shatter Are Not Closely Related in Canola.” Crop Science (2014). Gan, Y., Agriculture and Agri-Food Canada (AAFC), et al. “Assessment of Seed Shattering Resistance and Yield Loss in Five Oilseed Crops.” Canadian Journal of Plant Science (2008). Holzapfel, C., Indian Head Agricultural Research Federation. “Cultivar Considerations for Straight Combining.” Canola Agronomic Research Program (CARP) project, 2014. Shan, S., Alberta Innovates and Rahman, H., University of Alberta. “Developing Brassica napus Lines With Reduced Pod Shattering.” CARP project (2013). Despite being considered together as harvest loss, pod shatter and pod drop are not closely related in canola. pollinated varieties actually had higher pod drop than the hybrid counterparts. 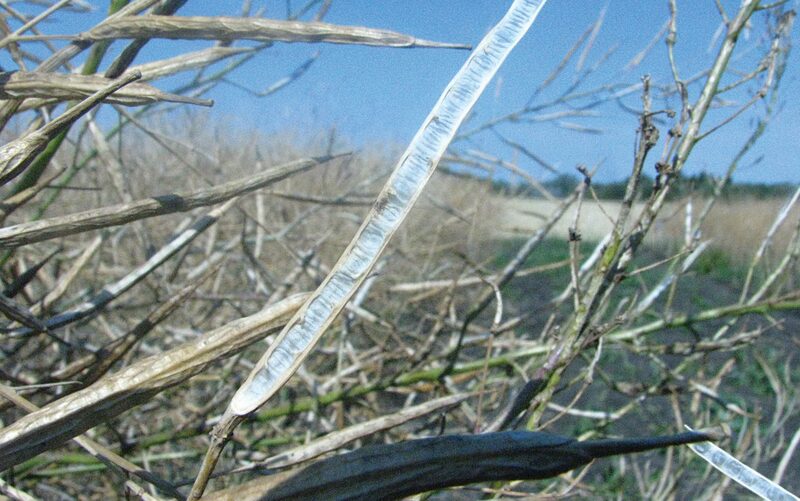 Yantai Gan’s study into seed shattering resistance and yield loss in various oilseed crops also concluded that various species and cultivars expressed different degrees of pod shatter, especially under high shattering conditions. This adds more emphasis to the importance of variety selection, especially in areas more prone to high shattering conditions. Encouraging results came out of Shan and Rahman’s four-year project, “Developing Brassica napus lines with reduced pod shattering.” Pod shattering genes were isolated and canola transformations were made. The first generation of transformed canola plants were assessed for pod shattering resistance and those with reduced pod shattering were grown into succeeding generations, which were then reassessed for shatter resistance. When straight combined in a field test, several lines reported a 30 percent reduction in pod shattering compared to the straight combined control. Therefore, this project has identified B. napus genes that can be used to develop non-GMO canola with reduced pod shattering. Chris Holzapfel highlighted variety selection in his 12 cultivar, three herbicide system, four-year, Saskatchewan-based study, “Cultivar Considerations for Straight Combining.” Preliminary results show significant differences in shatter losses between varieties, with new shatter resistant lines performing well. 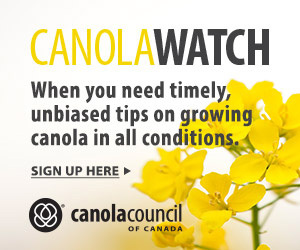 Final results are anticipated for future canola publications. Still, the greatest limiting factor at this point may be finding a variety that suits all needs. For instance, if clubroot resistance is a necessity, reduced pod shattering may not be available in the same variety. Yield potential, lodging resistance and days to maturity may be other helpful factors in harvest manage-ment. Canola Performance Trials (CPT) provide valuable updates on how varieties are performing in a multitude of locations around the Prairies. These data can be viewed by year, type of herbicide tolerance as well as by percentage of checks or actual values. This year’s results are posted on the CPT website at www.canolaperformancetrials.ca.